This time of year is tough for all of us who work to end the commercial seal hunt in Canada. With the arrival of warmer temperatures comes the devastating knowledge that the slaughter of baby harp seals will begin on the east coast. This year, government officials have refused to share any information regarding the hunt, citing privacy concerns. But so far, it appears as though only a single boat took part in the Gulf hunt - which opened mid-March - reportedly hunting for seal meat for the local butcher on the Magdalen Islands. We will be watching to see if hunters from the Magdalen Islands dump the seal pelts in the ocean as they have done in previous years, or if they will achieve their goal of sending 20,000 seal skins to a tannery in Normandin, Quebec, that received half a million dollars in government funding last year for this purpose. WARNING: This video from 2012 contains graphic material. IFAW has spent decades documenting what really happens at Canada's commercial seal hunt. The same cruelty and waste happens year after year. Watch the video, see for yourself. 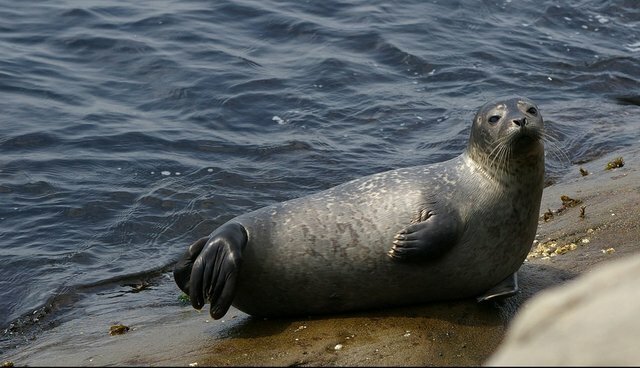 The Nova Scotian grey seal hunt appears to be dormant yet again this year, due to an ongoing lack of markets for grey seal products despite hundreds of thousands of dollars from the government for market development research. RELATED: Canada's commercial seal hunt: it is cruel, unnecessary – and shockingly wasteful. The opening date for the seal hunt off the coast of Newfoundland and Labrador, where the bulk of the hunting occurs, was set for Sunday, Apr.12. The Newfoundland sealing industry will receive another $2 million CAD bailout loan for the 2015 season making it the fourth year in a row that financial assistance has been required. Throughout Canada, we've seen a decline in the landed value of the seals killed, the number of seals killed and the number of sealers taking part in the hunt. For everyone who has fought to protect seals for the last four decades, this is wonderful news. There is no good reason to commercially hunt seals. We certainly don't need the expensive luxury items produced by the hunt, which now include seal fur purses, sneakers, and iPad covers. It's a tragic waste of an animal's life, with government statistics suggesting that over 90 percent of the seals are killed only for their fur, the meat left on the ice to rot or thrown back into the ocean. And it's a waste of taxpayer dollars. After 20 years of subsidies and government support, the landed value of the hunt is near its lowest ever. Sadly, our fight is not over. The Canadian government continues to support the commercial seal hunt as a matter of principle - not because it is necessary or creates jobs - and is keeping this cruel and unnecessary industry alive. This April, while the slaughter takes place, we hope you will join us to spread awareness, share the facts and ask the Canadian government to stop financially supporting this dying industry, stop allowing the waste and instead support sealers to transition out of the industry.